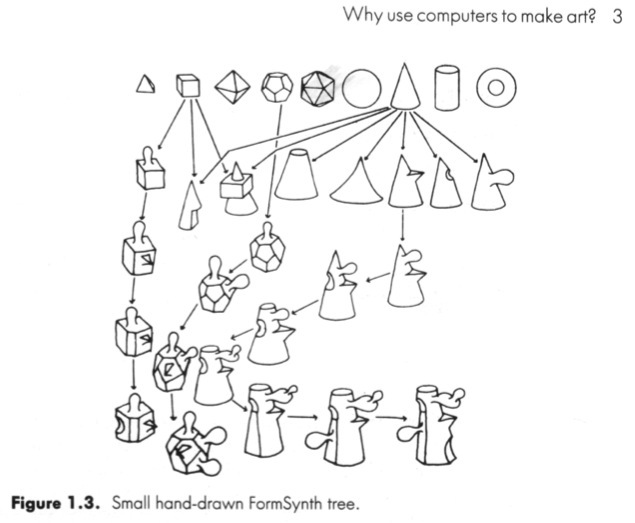 An experimental drawing system created by William Latham and used by him to produce many works between 1984-1987. This was a system for drawing on paper and not on the computer. The rules, sphere, cone, bulge, scope, and so on, were typed out, and Latham applied them by hand. Repeated application of the rules created an evolutionary tree of complex forms.